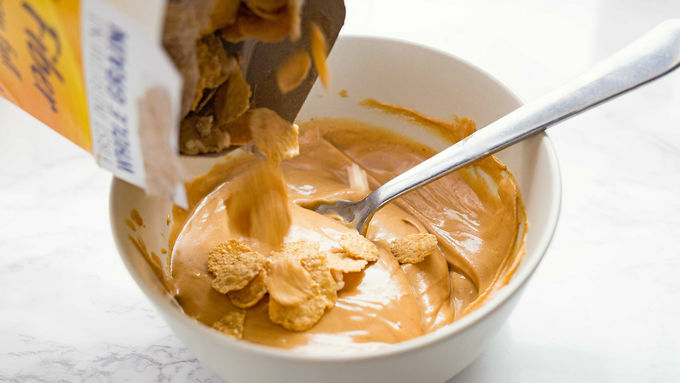 In a microwave-safe bowl, microwave chips and peanut butter together in 30-second bursts, stirring between, until melted. Spread into a parchment-lined 9 x 5-inch loaf pan and press into an even layer. Refrigerate until set and cut into squares or bars with a sharp knife. My grandma used to make these “haystack cookies” which were essentially crunchy chow mein noodles stirred together with melted butterscotch chips. I never loved butterscotch chips. So when I grew up and discovered there was such thing as a peanut butter chip, I unabashedly made the switch. Truth be told, I never much liked those chow mein noodles, either. They were kind of bland tasting, there in the middle of all that melted chocolate. So I figured a bit of honey-kissed cereal would be a better stir-in. And add in a little nut butter for extra flavor and protein, and suddenly I realized I didn’t want haystack cookies at all. 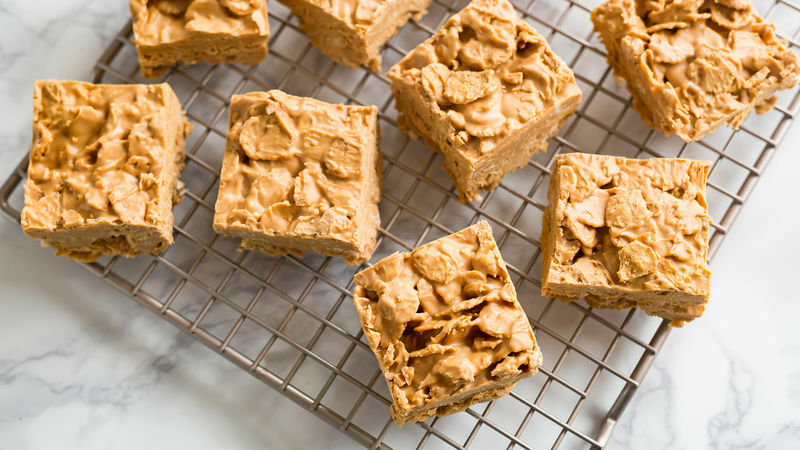 What I really wanted no-bake peanut butter bars. So I stirred all of these wonders together, and made some seriously yummy snacks. So good, they disappeared in a snap. And I wish I could say it was because all the kids came home from school. Nope. Just me here in the kitchen. Standing over a plate full of peanut butter bar crumbs. Which I’m sure grandma would love even better than her haystack cookies. (But I didn’t save her a smidge, so let’s not tell. Kthanksbye).